Kathryn and I took advantage of a very low tide today to get some photos at Coal Oil Point. 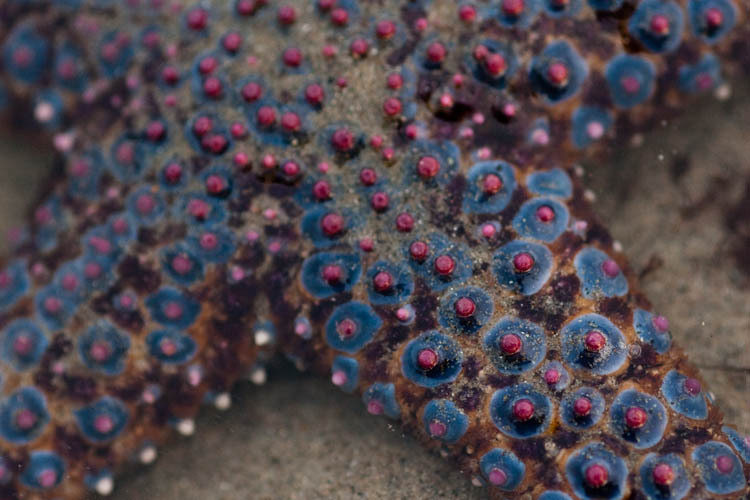 Edited to add: I think this guy is a Giant Sea Star (Pisaster giganteus). Though this particular one is not very giant yet.